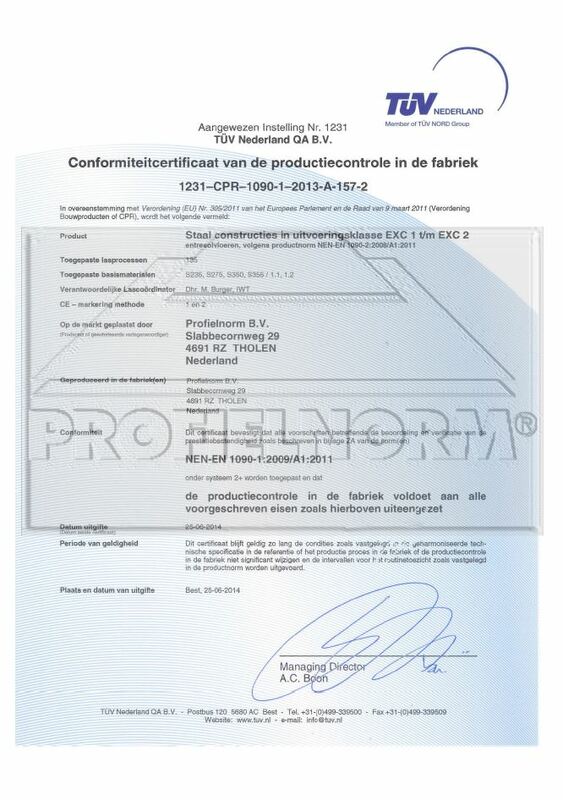 On 1 July 2014, Profielnorm was awarded the CE certificate for the manufacture and delivery of floor systems to NEN-EN 1090 standards. By earning this certificate, we have taken an important step in our quality assurance, as it means that as of 1 July 2014 we comply with the legal requirements for delivering our product to CE standards in accordance with NEN-EN 1090. The welding on our steel structures also complies with the ISO-3834-3 certification requirements. What this means to you is that you have additional assurance about the quality of our product! Our products are clearly marked with the CE label. 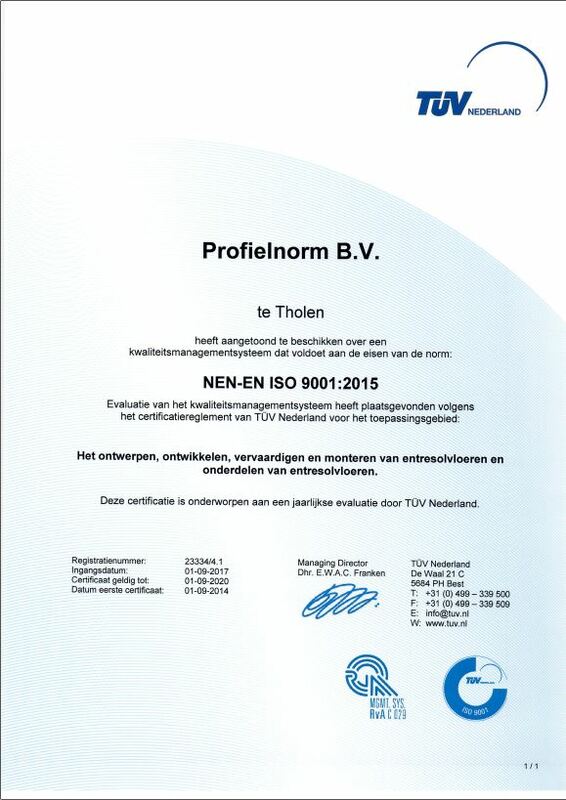 In addition, Profielnorm has been awarded the ISO 9001 certificate which stands for the general quality of the business process. 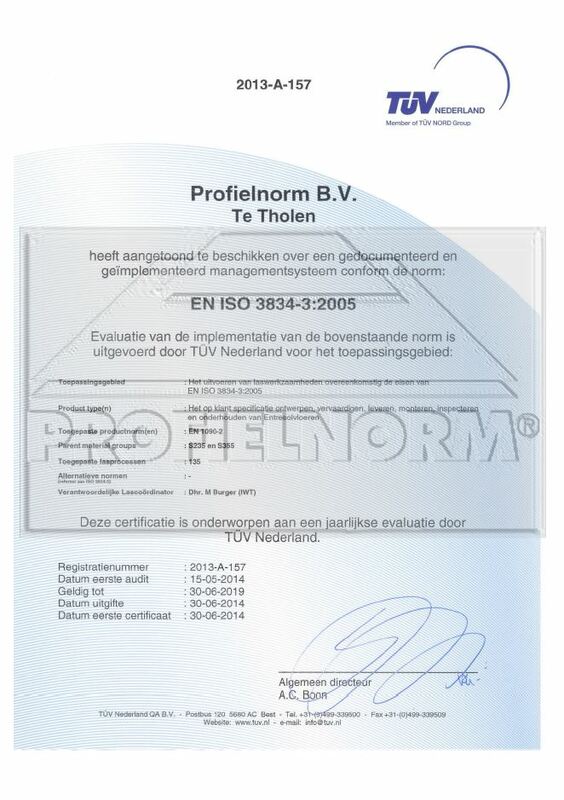 In other words, Profielnorm takes quality very seriously indeed!